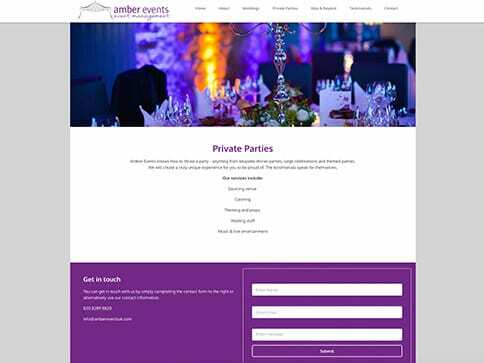 Amber Events desperately needed a website to get her Events company running. It needed to be eye-catching to draw people in but with easy, to the point text. 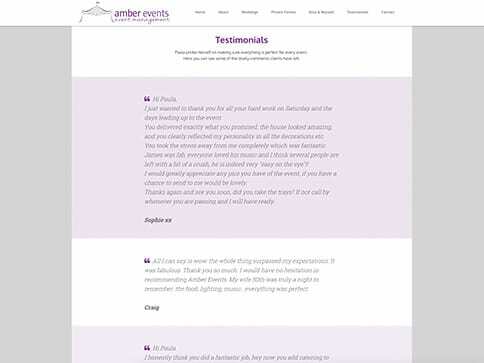 It needed to be clear that Amber Events are able to organise for any event big or small with a contact information being a key part of the website, as well as testimonals from the many clients that have used them in the past.